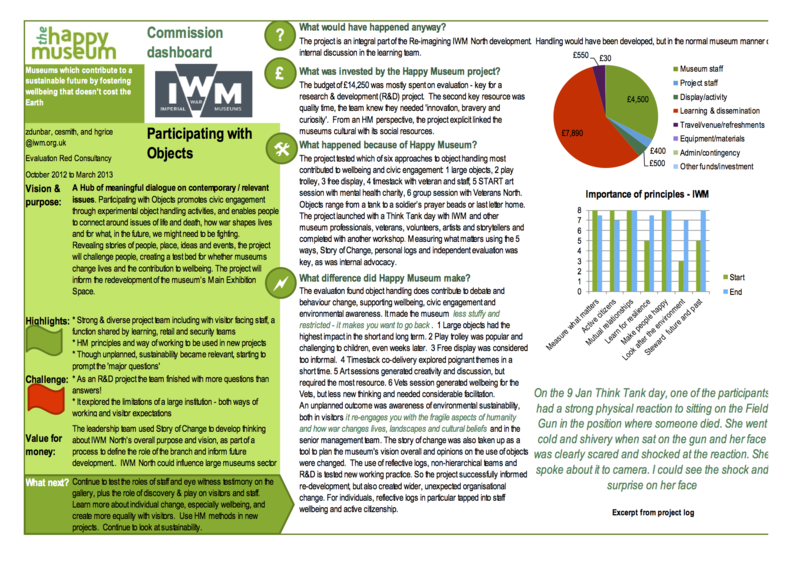 The ‘Participating with Objects’ project promoted civic engagement through experimental object handling activities, and enabled people to connect around issues of life and death, how war shapes lives and what, in the future, we might need to be fighting for. From a tank to a soldier’s prayer beads or last letter home, IWM North offers a collection of artefacts from the First World War to the present day. 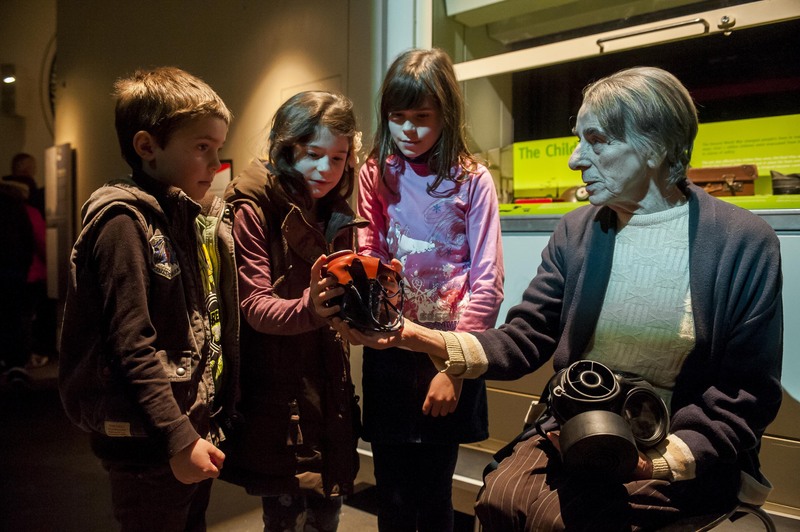 Revealing stories of people, place, ideas and events, the project challenged people to interpret these objects in a different way, creating a test bed for whether museums change peoples’ lives and wellbeing. The project involved staff, volunteers and visitors and informed the redevelopment of the museum’s main exhibition space. The project vision was to create a hub of meaningful dialogue on contemporary and relevant issues. Highlights included a strong & diverse project team including front of house staff, learning, retail and security teams. Happy Museum principles and ways of working become embedded in the organization and sustainability has become relevant, and started to prompt major questions within IMWN. Challenges included the fact the project team finished with more questions than answers! The project demonstrated to us the limitations of working within a large institution.